Now you may enter your name and where do you live, and an e-mail address so we can send you an invoice with the link to download the pattern(s) you will buy. 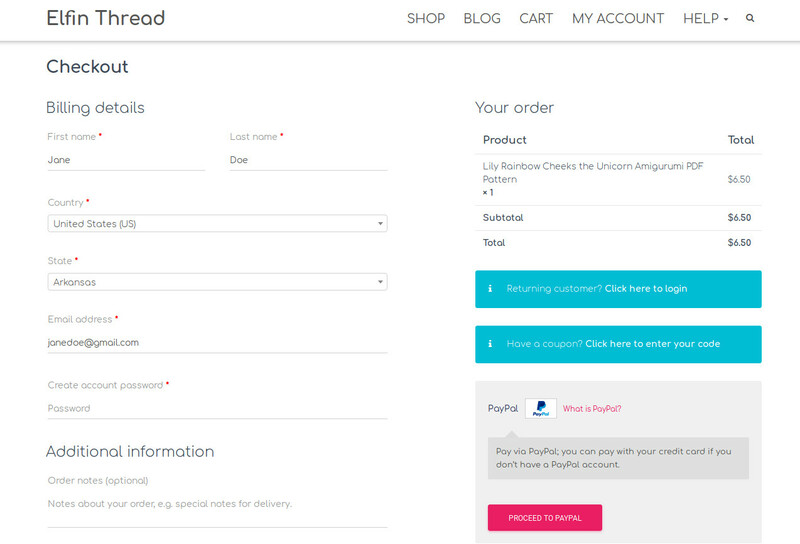 If this is the first time you are buying from the site, you will have an additional field where you can enter a password to your local account, so you can return to the website when you need to download the patterns you purchased, or to buy new ones. 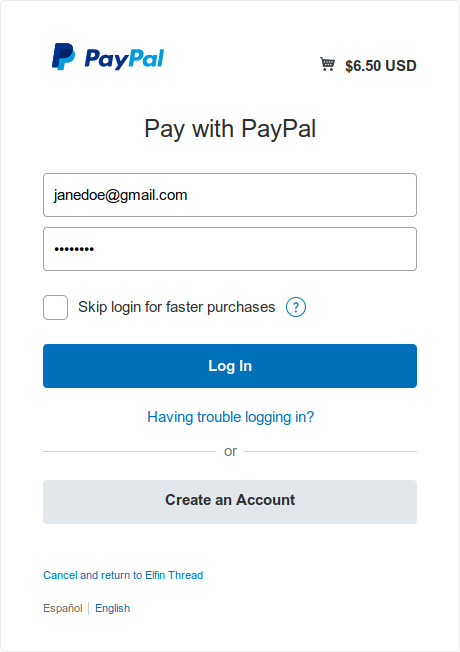 If you already have a PayPal account, you can login and proceed to pay with it, otherwise, you can create quickly your account with the option “Create an Account” button at the bottom of the dialog: you only need a credit or debit card. Sometimes PayPal does not immediately sends a confirmation for the payment; in that case, there will be a delay until you can actually get the pattern. 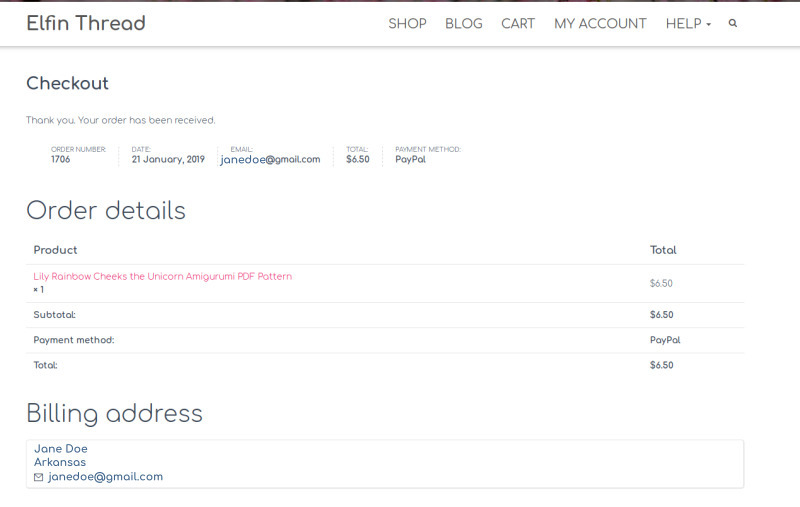 As soon as PayPal confirms the payment, you will have your pattern available. 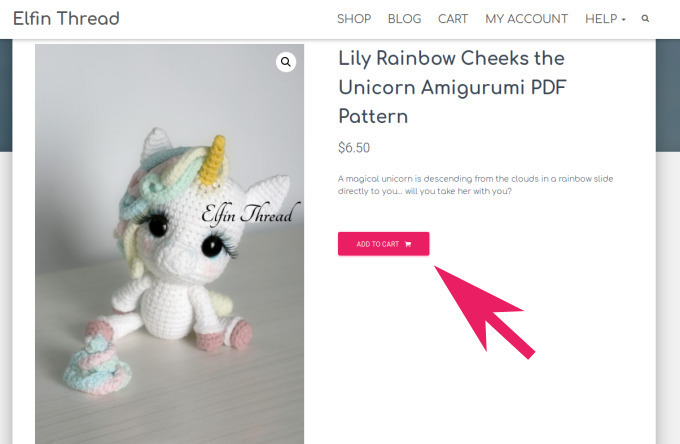 You may return at any time to the website to download the pattern file in case you lost it or you need another copy for some other reason. © 2015-2019 Lorena da Silva.